First, the foundation of the rule: "the Scribes and Pharisees sit in Moses seat." Some take this as spoken of the Sanhedrim, who were the successors of Moses and the seventy elders of Israel. Possibly that may be a mistake, for several of the Sanhedrim were not Pharisees (Acts 23:3). For the chief priests belonged to that society (Acts 4:6), and they are said to be Sadducees; but by Scribes and Pharisees I understand the principal teachers among the Jews. The priests and Levites were more especially devoted to the study of the law. Deuteronomy 33:10: "They shall teach Jacob Thy judgments, and Israel Thy law." Yet others who were learned in the law were made use of to instruct the people, and were chosen to be rulers of the Synagogues. The Pharisees were of any tribe. Paul, who was of the tribe of Benjamin, was a Pharisee by education, as he tells in Acts 23:6: "I am a Pharisee, the son of a Pharisee." Second, here is the rule given: "what they bid you observe, that observe and do." This must be understood with the limitation: when they teach according to the mind of God. Sometimes they taught for doctrines the commandments of men and then it was sinful and dangerous to observe their directions. "If the blind lead the blind, both shall fall into the ditch" (Matthew 15:14). DOCTRINE: There may be a great deal of good preaching in a country, and yet a great want of good preaching. It is a felicity to a people when there is good preaching in the land, yet there may in the same land be great want of good teaching. Some things that are very useful may be plainly and fully taught, and other things that might be as useful may be neglected. Many sound principles in religion may be taught, and other things that are of great concern unto souls may be omitted. Ministers dont sufficiently do their duty if they preach many sound truths, and do it convincingly and with good affection, if they do it with great clearness and evidence, provided they neglect other things that are needful to salvation. And so it falls out sometimes that men who make many good sermons are very defective in preaching some other things that they ought to preach. I shall clear this in three instances. 1. The Scribes and Pharisees in Israel taught the people that there was only one God, the Maker of all things, and were great enemies to the idolatry that their fathers were guilty of before the Babylonian captivity. As the Scribe said to Christ in Mark 12:32, "Well, Master, Thou hast said the truth: for there is one God, and there is none other but He." They taught many moral duties: that men must love God and believe His Word, that they must be just and chaste and men of truth, and were very strict in the observation of the sabbath. They limited men how far they might go on the sabbath (Acts 1:12). We read of "a sabbath days journey." They taught truly the doctrine of the resurrection of the dead (Acts 23:78). The Pharisees dissented from the Sadducees. The Sadducees say there is no resurrection, nor angel, nor spirit, but the Pharisees confessed both. They taught that the Messiah was to come; the Samaritans themselves received that doctrine (Job 4:25). They were very punctual in teaching circumcision and the ceremonies of the Law of Moses, about sacrifices, tithes, and legal uncleanness. But they were very faulty in preaching in other particulars. They were ignorant of the doctrine of regeneration, so Nicodemus (John 3:4) says, "How can a man be born when he is old?" They taught that the first motions of lust, if the will did not consent, were not sins. As we may gather from Romans 7:7, Paul says, "I had not known lust, except the law had said, Thou shall not covet. " And from Matthew 5:2728, "It was said by them of old time, Thou shalt not commit adultery. But I say whosoever looketh on a woman to lust after her hath committed adultery in his heart." They taught also that dangerous doctrine of justification by works (Romans 10:3). They went about to establish their own righteousness (Romans 9:23), They sought it, as it were, by the works of the law. They taught the people that in case they devoted their estates to the temple, they need not relieve their fathers or mothers (Matthew 15:46). And above all they taught that Jesus of Nazareth was not the Messiah and brought many objections against Him. They said that He came out of Galilee, was a gluttonous man and a winebibber (Matthew 11:19), a friend of publicans and sinners. They reproached Him that by the devil He cast out devils, and they were very dull in their preaching (Matthew 7:29). 2. The papists they teach the doctrine of the trinity truly, and the attributes of God, so also the doctrine of the Incarnation of Christ, and that He died for our redemption and is at the right hand of God. They teach the doctrine of the day of Judgment, of heaven and of hell, and many moral rules. But they preach a multitude of false doctrines with these doctrines that are pernicious to the souls of men. They teach men to seek the pardon of their sin by afflicting their bodies, by pilgrimage and paying a sum of money. They teach many horrible things with respect to their Pope, that he has power to forgive sin, to dispense with incestuous marriages; that he has power over all the churches and may dispense with the laws of God; that he is infallible. They teach the doctrine of image worship, abolishing the second commandment. They teach prayer to saints departed, the unlawfulness of priests marriages, the doctrine of purgatory, justification by works, a conditional election, the power of free will, falling from grace, and hundreds of other erroneous doctrines. They indeed subvert the faith of Christ. 3. Many Arminians preach very profitably about God and the person of Christ, about justification by faith and universal obedience, about the day of judgment and of eternal rewards and punishments. But there is a great deal of want of good preaching among them. They decry all absolute decrees of election and reprobation, making the decrees of God to depend on the foresight of repentance or impenitence. They assert universal redemption, as if Christ died to make all man saveable. They deny the propagation of sin, saying men become sinners by imitation. They hold a power in man to withstand the grace of God; that after God has done His work it is in the power of man to refuse to be converted. They dont acknowledge the servitude of man to sin, but have power with that assistance that God affords to convert himself. They deny the doctrine of perseverance. These things draw a great train of errors after them. The reason of the doctrine is because some preachers are men of learning and moral men, and they have drunk in some errors and lack experience. Learning and morality will qualify men to make many good and profitable sermons, much for the edification of the hearers. Learning qualifies men to clear up many principles of religion, and a moral disposition may fit men zealously to reprove vicious practices. But men may be learned men, yet drink in very corrupt doctrines. Learning is no security against erroneous principles. The Pharisees and Sadducees were men of liberal education, yet leavened with many false principles. Matthew 16:6: "Beware of the leaven of the Pharisees and Sadducees." And verse 12: "Then understood they that He bid them not beware of the leaven of bread, but of the doctrine of the Pharisees and of the Sadducees." Learning will not cure those distempers of the heart that expose men to false opinions. Learning will not cure the pride and conceitedness of mens hearts. Men of learning may lean too much to their own understanding. Men of learning may be led aside by reading erroneous books. A learned education will not deliver men from carnal reason. Men of corrupt affections are very inclined to imbibe bad principles. Men of learning may be blind men. Christ says of the Pharisees, "They be blind, leaders of the blind" (Matthew 15:14). Most of the errors in the world in matters of religion have been hatched by men of learning. Arius, Socinus, Arminius, and Pelagius were learned men. Errors in religion have been generally the offspring of great scholars, and have been propagated by them. And men may be moral men who have no experience of the work of God upon their hearts. Men may be zealous men against drunkenness and whoredom who have no saving knowledge of Christ. Many moral men have no communion with God, no experience of a saving change in their own souls. Men may be very moral and have no experience of a work of humiliation or being brought off from their own righteousness, or a work of faith; of the difference that is between the common and special work of the Spirit; of the difference between saving and common illumination; of the working of the heart under temptation; of the way wherein godly men are wont to find relief. Every learned and moral man is not a sincere convert, and so not able to speak exactly and experimentally to such things as souls want to be instructed in. It is as with a man who has seen a map of a country, or has read a great deal about it: he cant tell the way between town and town, and hundreds of particular circumstances, as a man who has traveled or lived there is able to do. Experience fits men to teach others. A man who has himself had only a common work of the Spirit, and judges it saving, is very unfit to judge the state of other men. Men would not put their lives into the hands of an unskillful physician, or trust their ship with an unskillful pilot, or an intricate case depending on the law with an unskillful lawyer. USE 1. Of examination whether it is not thus in this country. It is notoriously known by those who are acquainted with the state of the Christian world that though there are many eminent truths taught, yet there is a great want of good preaching. Whence it comes to pass that among professors a spirit of piety runs exceedingly low. But it is proper for us to take notice how it is among ourselves; and though it is very evident that there is a great deal of good preaching in the land, that the way of salvation is preached with a great deal of plainness and power, and many men are very faithful to declare all the counsel of God, yet there may be cause of lamentation that there is a great deal wanting in some places. Some may be very much to blame in preaching as they ought to do. If any are taught that frequently men are ignorant of the time of their conversion, that is not good preaching. Some are of that opinion, and it is likely they may drink it in from their ministers. This is a delusion, and it may do them a great deal of hurt; it hardens men in their natural condition. Paul knew the time of his conversion: "At midday, O King, I saw a light from heaven, above the brightness of the sun" (Acts 26:13). Men are frequently at a loss whether their conversion was true or not; but surely men who are converted must take some notice of the time when God made a change in them. Conversion is a great change, from darkness to light, from death to life, from the borders of despair to a spirit of faith in Christ. As for the outward conversation, there is sometimes little difference. Men might carry very well before, but, as to the frame of mens hearts, there is a very great difference. Formerly they were under the reigning power of objections against the gospel; when converted they receive it as a divine truth. Before they were converted they were under a sentence of condemnation; now they have peace with God through Jesus Christ. Men are generally a long time seeking conversion, laboring to get an interest in Christ; and it would be much if when God reveals Christ to them they should not take notice of it when the change is made. Ten to one but conscience will take notice of it. When a seaman comes into the harbor, when a prisoner is pardoned, when a victory is obtained, when a disease is broken, it would be much if men should take no notice of them. Conversion is the greatest change that men undergo in this world; surely it falls under observation! The prodigal knew well enough the time of his return to his fathers house. The children of Israel knew the time of their passing over Jordan. If any are taught that humiliation is not necessary before faith, that is not good preaching. Such doctrine has been taught privately and publicly, and is a means to make some men mistake their condition and think themselves happy when they are miserable. For men must be brought off from their own righteousness before they are brought to Christ. Men who think they have anything to appease the wrath of God and ingratiate themselves will not accept the calls of the gospel in sincerity. While people have a foundation to build upon, they will not build upon Christ. A self-righteous spirit is quite contrary to the gospel. If men are self-righteous men, they will not judge it fair for God to cast them off. Men who depend upon the justice of God will not depend upon the mere mercy of God. Men who lay claim to heaven from their own works will not depend on the plea that Christ has given His life a ransom for many, and has redeemed us from the curse, being made a curse for us. Multitudes of men are ruined by building upon a sandy foundation. Men must see their malady before they see their remedy. Men must be led into understanding of the badness of their hearts and the strictness of the law before they will be convinced of the preciousness of Christ. Men who can heal their own consciences will not come to Christ for healing. Men must be driven by necessity indeed before they come to Christ. Though men feel great terrors and live a tormented life, yet they will not come to Christ until driven out of themselves. Men must feel themselves dead in sin in order to their believing. Romans 7:9: "Sin revived, and I died." Men must see themselves poor and miserable, wretched and blind and naked, before they receive that counsel of buying of Christ gold tried in the fire, and white raiment (Revelation 3:17). When men dont preach much about the danger of damnation, there is a want of good preaching. Some ministers preach much about moral duties and the blessed estate of godly men, but dont seek to awaken sinners and make them sensible of their danger; they cry for reformation. These things are very needful in their places to be spoken unto, but if sinners dont hear often of judgment and damnation, few will be converted. Many men are in a deep sleep and flatter themselves as if there was no hell, or at least that God will not deal so harshly with them as to damn them. Psalm 36:2: "He flattereth himself in his own eyes, until his iniquity be found to be hateful." Men need to be told of the terrors of the Lord so that they may flee from wrath to come. A little matter will not scare men. Their hearts are as hard as a stone, as hard as a piece of nether millstone, and they will be ready to laugh at the shaking of the spear. Ministers must give them no rest in such a condition. They must pull themselves as brands out of the burnings. It is well if thunder and lightning will awaken them. They need to fear that they may work out their salvation with fear and trembling. Ministers are faulty when they speak to them with gentleness, as Eli rebuked his sons. Christ Jesus often warned them of the danger of damnation. Matthew 5:2930: "It is better that one of thy members should perish, and not that the whole body should be cast into hell." Matthew 7:13: "Broad is the gate and wide is the way that leadeth to destruction, and many there be that go in thereat." Matthew 13:42: "The angels shall cast them into a furnace of fire, there shall be wailing and gnashing of teeth." (See also Matthew 22:13 and 25:41, 46) This is for our imitation. Christ knew how to deal with souls, and Paul followed His example. Men need to be terrified and have the arrows of the Almighty in them that they may be converted. Ministers should be sons of thunder. Men need to have storms in their hearts before they will betake themselves to Christ for refuge. When they are pricked at the heart, then they will say, "What must we do to be saved?" Men must be fired out of their worldliness and sloth. Men must be driven as Lot was out of Sodom. Reason will govern men in other things, but it is fear that must make them diligently seek salvation. If they are but thoroughly convinced of their danger, that will make them go to God and take pains. If they give a wrong account of the nature of justifying faith, that is not good preaching. Justifying faith is set forth in the Scripture by many figurative expressions: coming to Christ, opening to Him, fitting under His shadow, flying to Him for refuge, building on Him as on a foundation, feeding on Him. These expressions imply not only an act of the understanding, but also and act of the will, accepting Him, depending on Him. This doctrine is despised by some, and faith in Christ is said to be only a persuasion of the truth of the Christian religion. This is the way to make multitudes of carnal men secure, and to flatter themselves as if they were in a good condition. They say they are not heathens, Turks, Papists, or Jews. Since they believe that Jesus Christ is the eternal Son of God, they hope they are believers; but multitudes of people have such a faith that will fall short of eternal life. John 2:2324: "Many believed in His name, when they saw the miracles that He did; but Jesus did not commit Himself unto them." John 14:4243: "Among the chief rulers many believed on Him, but because of the Pharisees they did not confess Him." The faith of some men is only a persuasion from their education. As heathens receive the religion of their forefathers by tradition, so these receive the Christian religion from hearsay. But justifying faith is wrought in men by the mighty power of God. 2 Thessalonians 1:11: "That He would work in you the work of faith with power." Ephesians 1:1920: "And what is the exceeding greatness of His power to usward who believe, according to the working of His mighty power; which He wrought in Christ when He raised Him from the dead." By justifying faith, men answer the calls of God, relinquishing their own righteousness; they place their dependence only on the mediation of Christ (Hebrews 6:18). They flee for refuge, to lay hold on the hope that is set before them. Justifying faith is a living principle that sanctifies men. Acts 15:9: "Purifying their hearts by faith." Many men have a common persuasion of the truth of the gospel who are utterly destitute of holiness. But true justifying faith is always accompanied with a holy life. Where there is faith, there is every other grace. Acts 26:18: "Sanctified by faith that is in me." If any give false signs of godliness, that is not good preaching. Signs of grace are of two sorts. Some are probable, and they must be spoken of only as probable; a score of them may make the thing more probable, but dont make it certain. Probabilities make no demonstration. Probable signs are not conclusive. There are two errors in laying down signs. One is when those things that may flow from common principlessuch as natural temper, natural conscience, fear of hell, or false imaginationsare given as sure signs of grace. But those things that may flow from common principles dont truly distinguish between saints and hypocrites, things such as a good conversation savory discourse, zeal against sin, strong religious affections, sorrow for sin, quietness under afflictions, delight in ordinances, or suffering for religion. From such loose signs people are in danger of taking up a false persuasion of their godliness. Such signs are full of delusion, and many men bless themselves who are in a miserable condition. Such probable signs may be where there are certain signs of the contrary. Men are apt to flatter themselves, and when they hear such signs they are strengthened in their carnal confidence. There is no infallible sign of grace but grace. Grace is known only by intuition; all the external effects of grace may flow from other causes. Another error is when men are too strict in their signs, as when they give that as a sign that there is a constant care to glorify God, a continual living upon Jesus Christ, and a constant watchfulness against the workings of corruption. There is no godly man but has at times ill frames of spirit. David and Jonah and Peter had such. When David committed adultery, he had not a due care to glorify God; nor Jonah when he was in a fret, nor the Psalmist when he was as a beast before God, nor Paul when he was led into captivity by the law of sin that was in his members. There is no godly man who can comfort himself with such signs as these. It is well if godly men see now and then the workings of a spirit of grace. Grace is many times under hatches and is invisible. If any teach men to build their faith about the divine authority of the Scripture upon probable signs, that is not good preaching. There are many probable arguments for the authority of the sacred scriptures: the eminency of the penmen, and they have had a mighty efficacy to make a change in the hearts of men. It is said there were many miracles wrought for the confirmation of the doctrine of them; there has been an accomplishment of many of the predictions in them. These arguments are preponderating and outweigh all objections that are brought against the authority of them. These considerations may well strengthen the faith of the people of God, but these things cannot be the foundation of our faith. It is only the certain knowledge of their authority that can be the foundation of faith or any other grace. Men cannot believe them to be infallibly true upon probable arguments. Probable arguments must be looked on but as probable and not convincing. Men must have infallible arguments for loving God and believing His Word. The foundation of believing the divine authority of the Scripture is the manifestation of the divine glory in them. There is a self evidencing light in the works of God. The creation of the world shows Gods power and the Godhead (Romans 1:20). It is impossible that the world should be made by any but an infinite God. So there is a self-evidencing light in the word of God; there are such things revealed there as can be made known by none but God. 1 Corinthians 2:9: "Eye hath not seen, nor ear heard, nor hath it entered into the heart of man to conceive what God hath prepared for them that love Him." Those eternal rewards that are spoken of in the Scripture , those perfect rules that are laid down there, those accounts that are given of the mercy of God and the justice of God, manifested in the way of our salvation, would never have entered into the heart of man to conceive if it had not been revealed by God. Men would never have thought of such a way of salvation if it had not been declared by God. If men preach for such liberties as God does not allow, that is not good preaching. There are many licentious liberties that are taken by men in their apparel, in their drinking, in their dancing and other recreations, in their discourses upon the sabbath, and in their dealings with one another. And if ministers either vindicate or connive at them, they dont preach as they ought to do. Some men are lax casuists, and they take too great a liberty themselves, as do their wives and children, and they are afraid to anger men by reproving some particular evils that men are addicted to who prevail in the land. The Pharisees were such casuists. Matthew 5:43: "Ye have heard it hath been said of old, Thou shalt love thy neighbor, and hate thine enemy. " Men should be solemnly warned against all evil carriages; and if this is omitted it gives great increase to sin in the land. God complains of ill against teachers for not reproving sinners. Isaiah 56:10: "They are ignorant and blind, dumb dogs that cannot bark." If men were duly reproved for their extravagancies, that would be a means to reclaim them. Jeremiah 23:22: "If they had stood in My counsel and had caused My people to hear My words; then they should have turned them from their evil way and from the evil of their doings." Faithful preaching would be beneficial two ways: one way is it would cut off occasions of anger and prevent those sins that bring down the wrath of God on the land; we should then enjoy much more public prosperity. The other is, that it would deliver men from those vicious practices that are a great hindrance to conversion. As long as men live in ways of intemperance, injustice, and unsuitable carriages on the sabbath, it will be a great impediment to a thorough work of conversion. There may be conversion though men are not broken off from sins of ignorance, but as long as they tolerate themselves in immoralities that will be a mighty bar in the way of their conversion. If men preach for such ceremonies in worship as God does not allow, that is not good preaching. There are those who plead for human inventions in worship, who would if they could defend the ceremonies of the church of England, who would retain some Jewish ceremonies that are abolished, and practice other human appointments. Jeroboam was condemned not only for worshipping the calves of Dan and Bethel, but for appointing a time of worship in his own heart (1 Kings 12:3233). So it is noted as an imperfection in the reformation of Asa, Jehoshaphat and Manasseh that the high places were not taken away. This is spoken of as a great sign of hypocrisy. Isaiah 29:13: "This people draw near Me with their mouth, and honor Me with their lips; but have removed their heart far from Me: and their fear towards Me is taught by the precept of men." When men impose such ceremonies, they usurp a power that God has not given them. It is Gods prerogative to appoint in what ways we shall worship Him; and men therein go quite beyond the bounds of their authority. Men therein impute imperfection and defect to the ordinances of God, as if they could teach him how it is fit that He should be worshipped, and they presume on a blessing without a promise. Matthew 15:9: "In vain do they worship Me, teaching for doctrines the commandments of men." This is a way to make men formal in their worship; the multiplying of ceremonies eats out the heart of religion and makes a people degenerate. Men who multiply ceremonies are apt to content themselves with the form without the life. QUESTION. Is the late practice of some ministers in reading their sermons commendable? ANSWER. There are some cases wherein it may be tolerable. Persons through age may loose the strength of their memories, and be under a necessity to make use of their notesbut ordinarily it is not to be allowed. Consideration 1. It was not the manner of the prophets or apostles. Baruch read the roll that was written from the mouth of Jeremiah; but Jeremiah was not wont to read his prophesies. It was the manner of the Jews to read the scriptures in the synagogues; but after that it was their way to instruct and exhort men, not from any written copy. Acts 13:15: "After the reading of the law and the prophets, the rulers of the synagogue sent to them, saying, Men and brethren, if ye have any word of exhortation for the people, say on. " This was according to the example of Christ (Luke 4:17, 20). It was ordered in England in the days of King Edward the Sixth that ministers should read printed homilies in public. And there was great necessity of it, for there was not one in ten who were able to make sermons. But it has been the manner of worthy men both here and in other places to deliver their sermons without their notes. Consideration 2. The reading of sermons is a dull way of preaching. Sermons when read are not delivered with authority and in an affecting way. It is prophesied of Christ (Micah 5:4): "He shall stand and feed in the strength of the Lord, in the majesty of the name of the Lord his God." When sermons are delivered without notes, the looks and gesture of the minister is a great means to command attention and stir up affection. Men are apt to be drowsy in hearing the Word, and the liveliness of the preacher is a means to stir up the attention of the hearers and beget suitable affection in them. Sermons that are read are not delivered with authority; they favor the sermons of the scribes, (Matthew 7:29). Experience shows that sermons read are not so profitable as others. It may be argued that it is harder to remember rhetorical sermons than mere rational discourses; but it may be answered that it is far more profitable to preach in the demonstrations of the Spirit than with the enticing words of mans wisdom. USE 2. See the reason why there is so little effect of preaching. There is much good preaching, and yet there is want of good preaching. There is very good preaching in old England, yet there is great want of good preaching, especially among the conformists. 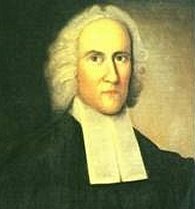 And there is very good preaching in New England, and yet there is some want of good preaching, especially in some places: and this is one reason that there is no more good done. There is a great fault in hearers: they are not studious of the mind of God; they are enemies to the gospel. And when Christ Himself preached among them many did not profit by it. Yet some preachers are much to blame, and though they preach profitably many times, yet they have great cause to be humbled for their defects. For hence it is that there is so little conversion. There is great complaint in one country and in another that there are few converted. It is apparent by mens unsanctified lives and their unsavory discourses. This is one reason, there is a great deal of preaching that does not much promote it, but is a hindrance to it. To tell men that they may be converted though they dont know the time; to teach that there is no need of a work of humiliation to prepare them for Christ; and that faith is nothing else but a persuasion that the gospel is true, is the very way to make many carnal men hope that they are converted. It makes other preaching very ineffectual; it makes them think that it is needless to strive for conversion. Such preaching hardens men in their sins. The want of dealing plainly with men is the reason why there is seldom a noise among the dry bones. In some towns there is no such thing to be observed for twenty years together. And men continue in a senseless condition, come to meetings and hear preaching, but are never the better for it. In some towns godly men are very thinly sown. Most of the people are in as bad a condition as if they had never heard the gospel. They go on in a still way, following their worldly designs, carry on somewhat of the form of godliness, but mind little but the world and the pleasures of this life. The scribes did not preach with authority. Matthew 7:29: "And they entered not into the kingdom of God themselves, and they that were entering in they hindered." Such preaching is not mighty to the pulling down of strongholds. Conversion work will fail very much where there is not sound preaching. Hence many men who make a high profession lead unsanctified lives. They are not dealt plainly with; and so, though they profess high, they live very low. They are not dealt roundly with, and they believe they are in a good estate, and conscience suffers them to live after a corrupt manner. Some of them live a proud and voluptuous life, and they are not searched as they should be. If they were told their own, that would keep them from saying that they were rich and increased in goods, and had need of nothing. If they were rebuked sharply, that might be a means to make them sound in the faith (Titus 1:13). It might make them not only to reform, but lay a better foundation for eternal life than ever yet was laid. Paul was very thorough in his work, and wherever he came he had the fullness of the blessing of the Gospel of Christ, (Romans 15:29).